You look in the mirror and think, “I wish I had a better smile.” You have good reason to want an attractive smile. The American Academy of Cosmetic Dentistry reports that people with a beautiful smile are considered more intelligent, successful, happy, interesting, and kind. Who doesn’t want that? Fortunately, changing your smile doesn’t require surgery. 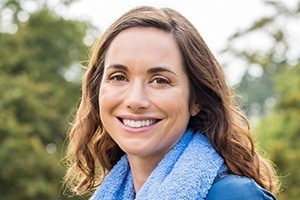 In fact, as a cosmetic dentist, Dr. Scott offers a full scope of convenient, minimally invasive procedures to transform virtually any smile defect. For instance, if your smile is stained, teeth whitening or veneers can give your teeth a new sparkle. Small teeth or overgrown gum tissue can be corrected with a laser gum lift or veneers. For broken or misaligned teeth, cosmetic bonding, veneers, or a complete smile makeover may be just what the dentist ordered! Please contact our West Monroe, LA office if you’re interested in pursuing cosmetic improvements. If you are hoping to make comprehensive improvements to your smile’s appearance, porcelain veneers may be the right way to get started. These restorations are crafted from similar materials as metal-free crowns, but they’re made to be extremely thin in nature so that they can cover just the visible surfaces of teeth instead of the entire structure. All at once, years of stains, chips, gaps, cracks, and other imperfections can be hidden beneath a beautiful, lifelike replacement. Patients can even use veneers to adjust the length, shape, or size of certain teeth. 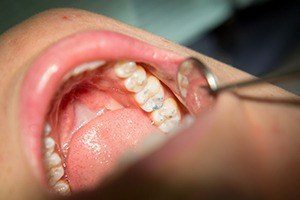 Restorative work is meant to improve your oral health and function, but that doesn’t mean it has to harm the aesthetic value of your appearance. Here in West Monroe, Dr. Scott offers high-quality, metal-free materials for dental crowns, inlays, onlays, and other likeminded smile additions. These cosmetic options are so beautifully lifelike that they even have the same translucent qualities as natural tooth enamel. They’re also very durable, comfortable, and fully biocompatible. Direct bonding may be the right treatment for you if a dental chip, crack, gap, or other minor flaw is detracting from your smile’s overall glow. Dr. Scott will apply tooth-colored composite resin to the affected surface and sculpt it into a pleasing shape that blends right in. 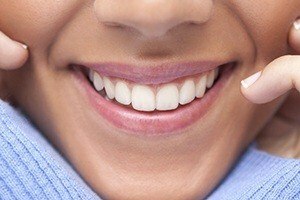 While this service may not be as long-lasting as new porcelain veneers, the entire process only requires a single appointment of your time and will create improvements that should last for several years at a time. Are you struggling with teeth that are darkened, discolored, or simply lackluster? 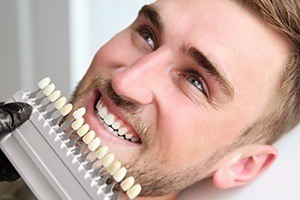 It’s hard to avoid these aesthetic concerns as patients age, but professional teeth whitening can give your smile back the boost of brightness it deserves. Dr. Scott offers both in-office whitening for fast, dramatic results and take-home whitening kits for a more gradual and convenient treatment process. Several premier, highly trusted brands are available so that patients can choose the option that best fits their personal goals and lifestyle. When considering your cosmetic options, you may not know where to begin or how to most effectively address your concerns. In this situation, Dr. Scott would love to sit down with you for a consultation and devise a smile makeover plan that’s pinpointed to fit your unique goals. This plan will feature any number of our available cosmetic services, arranged in such a way that it will maximize your available budget and busy schedule. Surprisingly enough, the teeth aren’t always to blame when a patient is unhappy with their smile. Sometimes, the appearance of the gum line may be too excessive or uneven, resulting in reduced self-confidence. Thankfully, aesthetic gum recontouring (also known as a “gum lift” in some cases) can reveal previously hidden dental structure and create a much more pleasing “frame” for your teeth that can be shown off with pride. Dr. Scott enjoys pushing the envelope here in West Monroe for the sake of his valued patients by providing advanced services that can’t be found in just any dental practice. This includes Botox, Juvederm, and other dermal fillers that can give your facial skin a youthful boost to complement your improved smile! Botox is a FDA-approved protein that works to diminish age-related wrinkles, while Juvederm and dermal fillers consist of an injectable gel that can fill the skin and eliminate under-eye bags, sunken cheeks, and wrinkles around the nose and mouth.